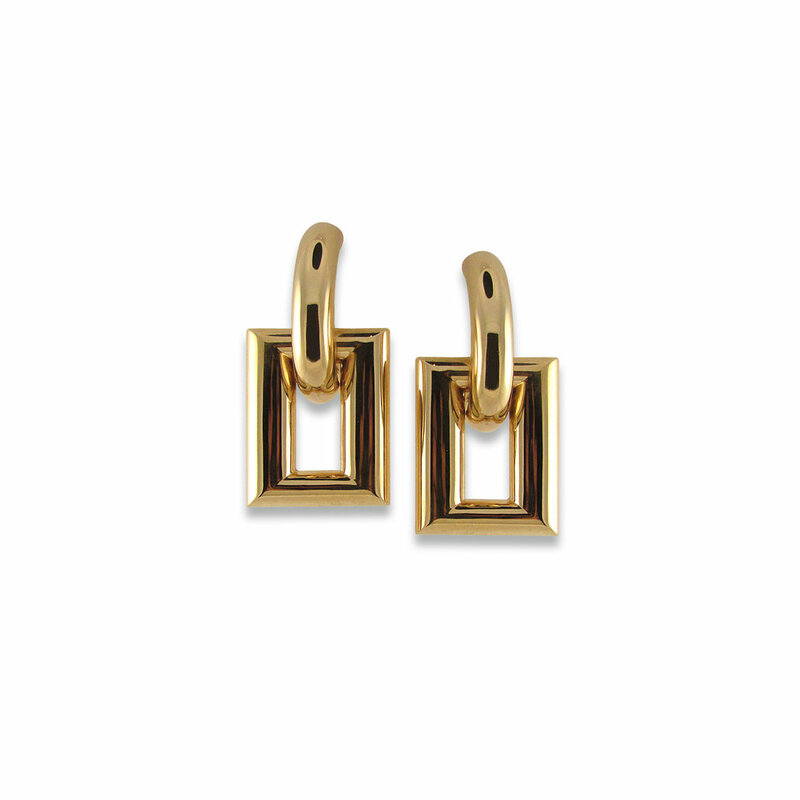 18KT yellow gold square door knocker earrings. Clip backs, no posts. 33.5grams. From the Retro Redux line by Meriwether.